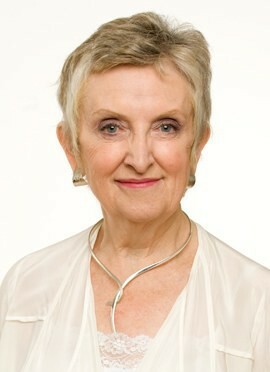 Jenny Rogers has been a writer and editor throughout her career. At the BBC, she commissioned and edited many best-selling books including Delia Smith’s Cookery Course and Madhur Jaffrey’s Indian Cookery. Whenever a topic has intrigued her professionally she has tended to write a book about it, but her abiding interest has been in how people learn and develop, where she has combined being an active practitioner with teaching and writing. Her books range from her classic Adults Learning, now in its fifth edition, to her Coaching for Health, co-written with Dr Arti Maini. She also runs a popular masterclass on writing non-fiction for the Guardian newspaper. Jenny was an early entrant to the world of coaching, beginning when she ran the BBC’s management development department. She left the BBC to start her own coaching company and has been a coach ever since, specializing in career coaching and in the world of senior executives. She has now been a coach for nearly three decades. As well as her own coaching, she trains and supervises other coaches. Jenny was married for many years to the former BBC Editor and journalist Alan Rogers. He died in 2010. She lives in central London and is close to her two sons and three grandchildren.